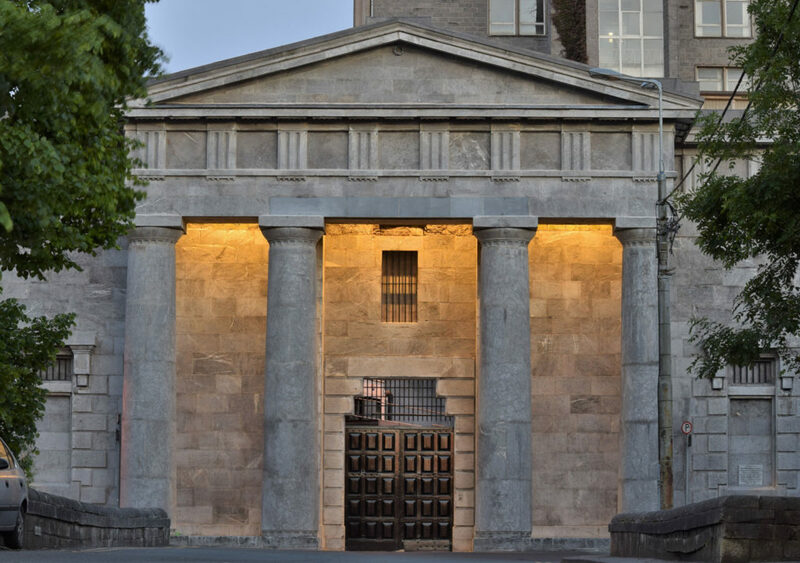 The restoration of the Portico and West walls of the old UCC Gaol Wall were recently completed. The work involved the removal and re-seating of the first three to four coping stones; careful removal of vegetation; repointing; stone repairs and leadwork. In addition, a considerable amount of restructuring and support work took place in the portico area and to projecting stone elements.